My students love to write using these writing prompts! 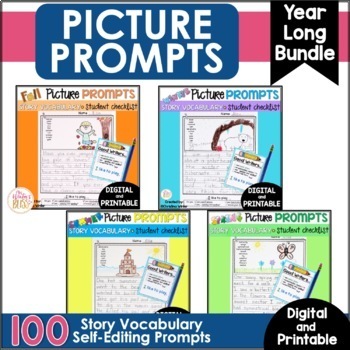 These prompts have a vocabulary word bank for each picture to naturally differentiate your writing center. Even my most emergent, timid writers shine using them! 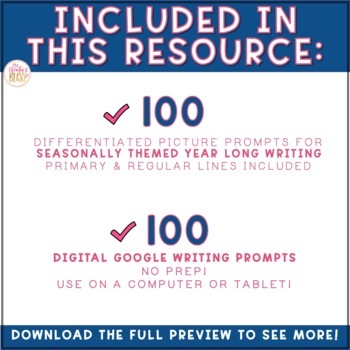 Each page has a very basic picture and vocabulary words students may very likely use in their writing. 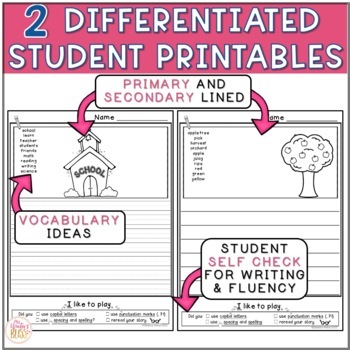 I believe the picture should be simple so students can use their creativity while writing. 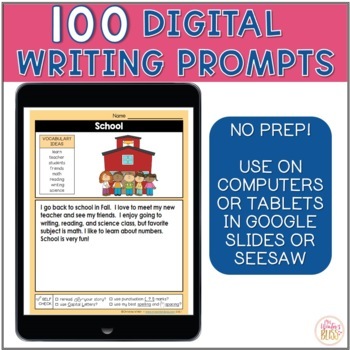 Students can use the printables for different types: narrative, informative, and opinion writing. My favorite part of these printables is the student check list reminder at the bottom of the paper. I have also included a basic sight word list to post in your writing center to assist with those tricky words. I believe students should be given choices as often as possible. To organize, I mount one on a file folder, tape the sides, laminate, and put copies in the folder for them to easily choose. With so many choices, this writing center will be engaging for months!